The Palace of Holyroodhouse is The Queen’s official residence in Edinburgh. 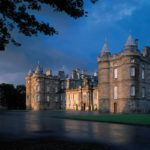 Boasting a fascinating royal history learn about the lives of Mary, Queen of Scots and Bonnie Prince Charlie and find out how it is used today by The Queen during her official engagements in Scotland. 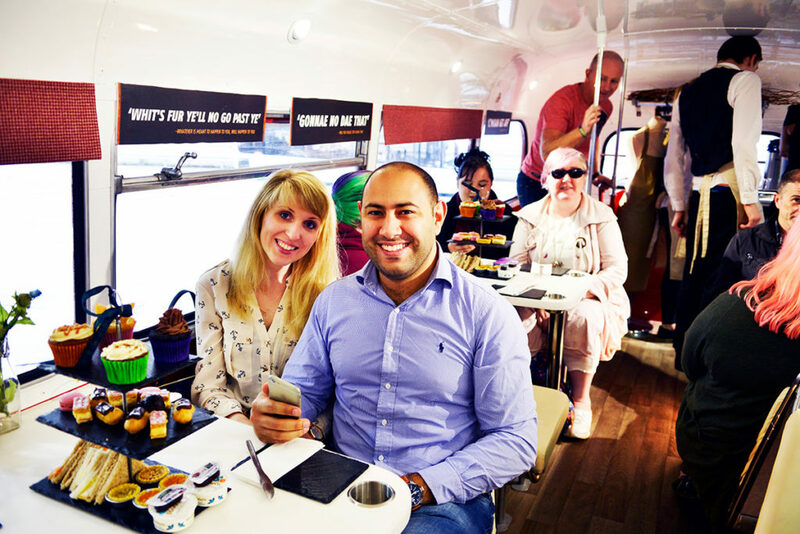 Combine your visit to the Palace of Holyroodhouse with a sparkling afternoon tea on board a vintage double decker bus as you explore Edinburgh’s ancient streets and you have all the ingredients for a great day out in Scotland’s capital. 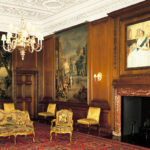 An informative audio guide will take you through the outstanding State Apartments. 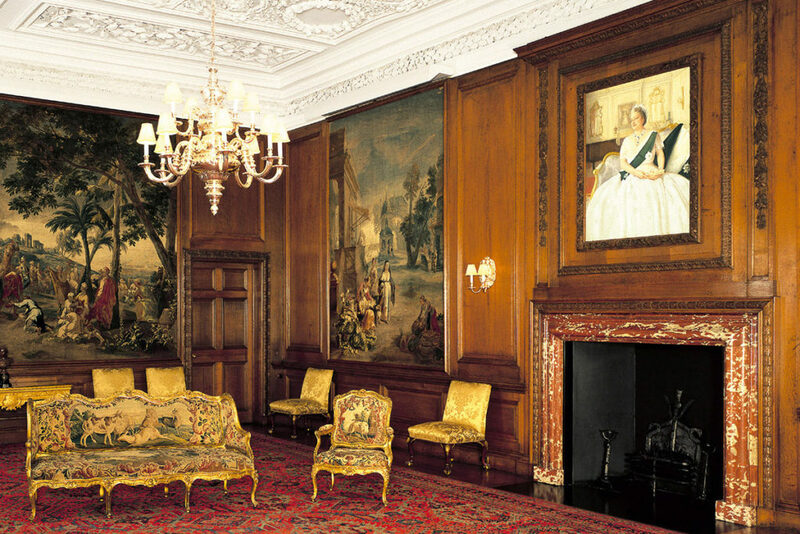 Reflecting the changing tastes and styles of its resident monarchs across the ages, the apartments are renowned for the beautiful and intricate plasterwork ceilings and formidable collections of French and Flemish tapestries. 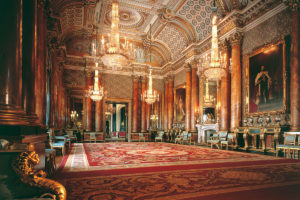 Walk through grandiose reception rooms, the private chambers of Mary Queen of Scots and the King’s bed chamber. View the Great Gallery and discover the mysteries of the romantic ruins of the Abbey. Take a leisurely stroll through the royal gardens sitting in the shadows of the magnificent Holyrood Park. 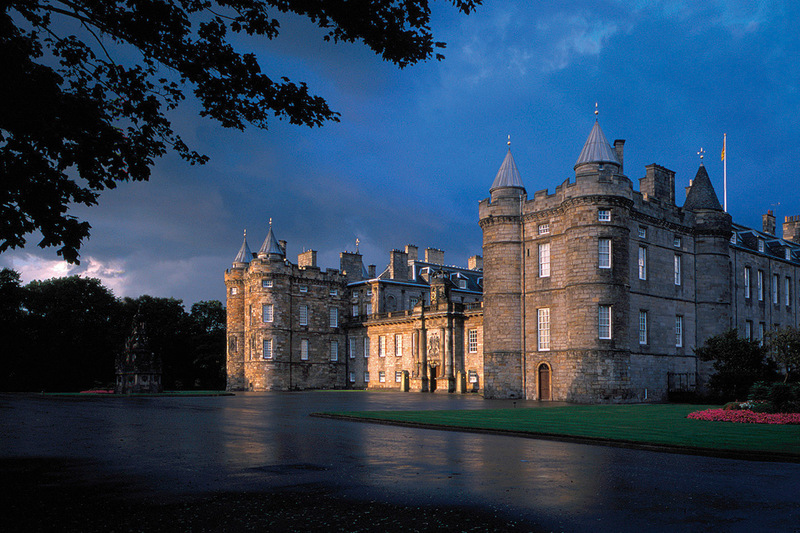 [The Palace of Holyroodhouse sits at the foot of the Royal Mile. This is a fantastic location to explore Edinburgh’s Old Town and very much worth a wander up The Royal Mile to reach the ramparts of Edinburgh Castle with its stunning views of Princes Street Gardens and beyond to Edinburgh’s New Town and Firth of Forth in the distance. Take time to explore the narrow closes, wynds and cobbled courtyards. The historic architecture of The Palace of Holyroodhouse contrasts with the modern architecture of the Scottish Parliament which sits on its doorstep. Both, however, are overshadowed by the natural beauty and stunning vista of Holyrood Park. 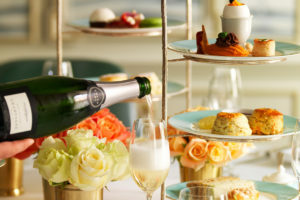 All aboard now for a tasty bite of the city as you tuck into a delicious afternoon tea and tour of the city. 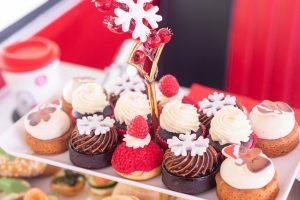 Your fun-filled afternoon tea includes fresh, seasonal sandwiches and mouthwatering cakes and sweet treats. Cameras at the ready as you take in Edinburgh’s best landmarks including the iconic Edinburgh Castle and discover Edinburgh’s elegant Georgian Streets in the city’s New Town. 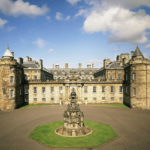 This fantastic tour Holyrood Palace and afternoon tea experience is an absolute must for those visiting the city. A very popular tour, early booking is essential. For further information or to book, simply select the Book Now button below. This package is available from Virgin Experience Days. Available to buy as a gift voucher at £110 for Two. this would make a superb present or why not treat yourself to a great day out with friends and family.